Without showing the details this bathroom used to have a large pool of blood located in the center of the room. Biohazards should be cleaned up quickly by a company authorized to clean and dispose of blood borne pathogens. A broken window caused dirt to be blown in for a while until SERVPRO of Providence was needed to cleanup the area. If your company has a broken window we can board up the window until the company has time to have it fixed. Air movers are the workhorse of the drying equipment. We can get your home back into shape after a water loss. Call us if your home has been flooded in the Providence area. Here to Help. If you need restoration assistance SERVPRO has you covered. They have professional drying equipment and teams ready to serve you in the Providence area. 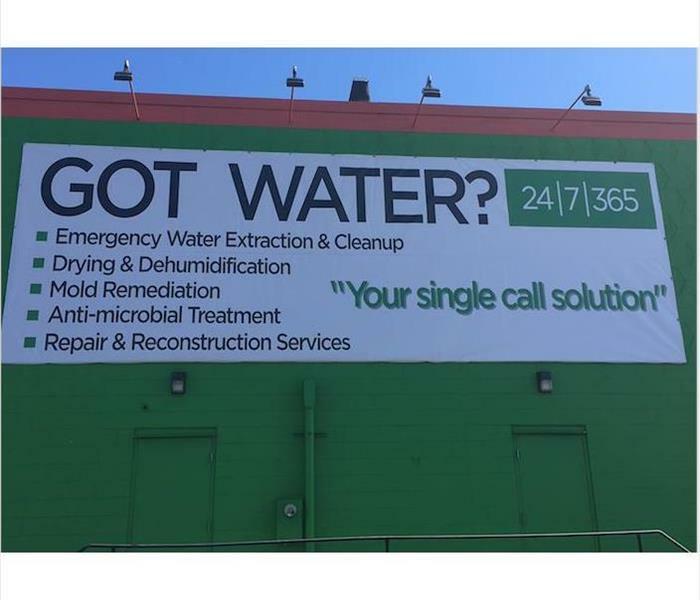 Contact us for your water, fire, mold, or storm emergency. After a major water loss, drywall and flooring can become significantly damaged in your home. SERVPRO has professional cleaning techniques and equipment to ensure your home is back to normal conditions quickly. A dehumidifier was used in this room to remove all moisture from the air preventing future damages. This bedroom wall suffered from significant mold damage. 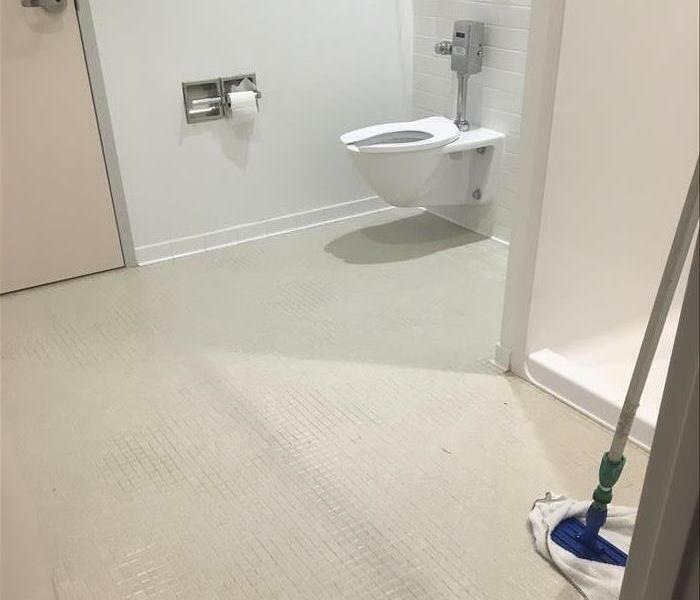 SERVPRO responded to access and clean the area professionally. 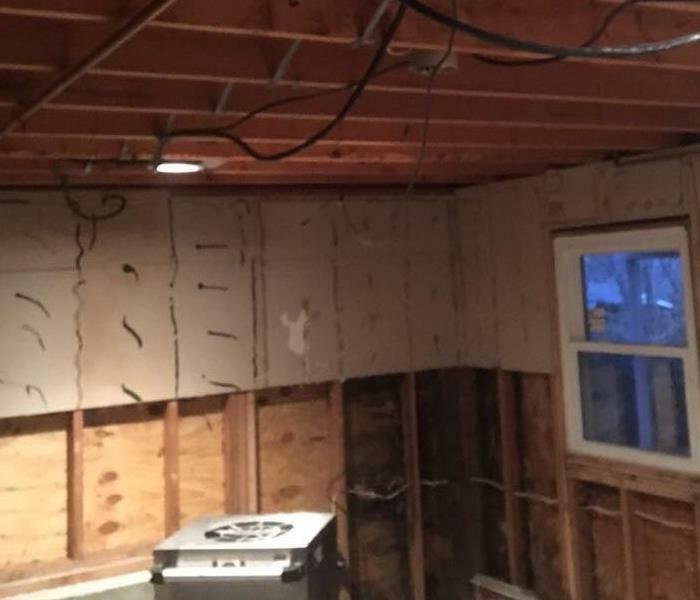 The team tore out the drywall down to the studs to professionally treat the area before restoring back to normal conditions. 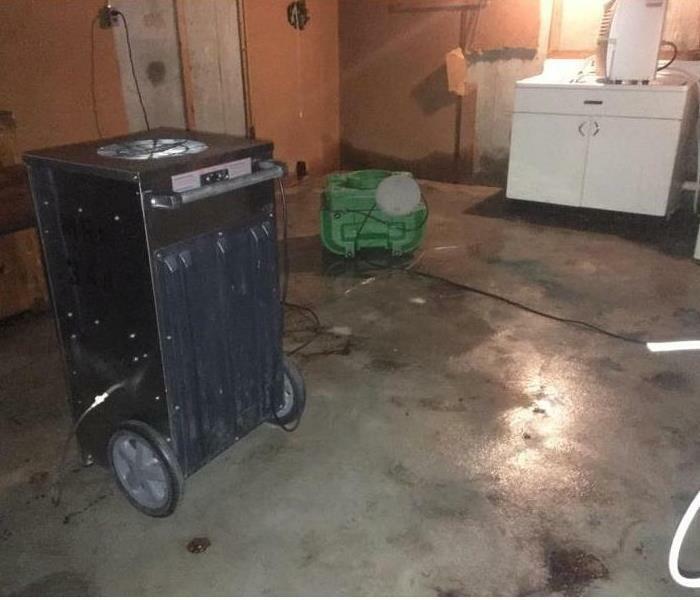 This utility room suffered from flood waters after a storm. The team at SERVPRO responded and quickly began to extract the water and prepare the room for drying. They used dehumidifiers and air movers to dry the area quick. This commercial property suffered from a water loss. 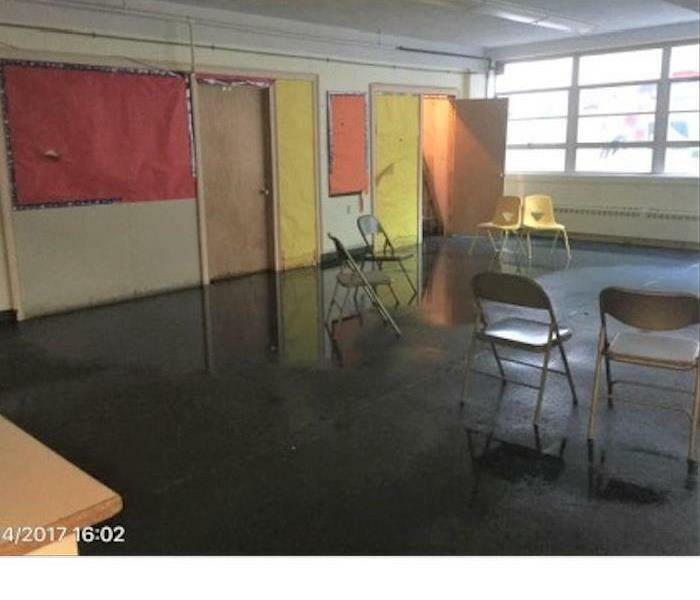 They were able to get the water extracted from the floors and dried properly to get the room back together and ready to reopen. 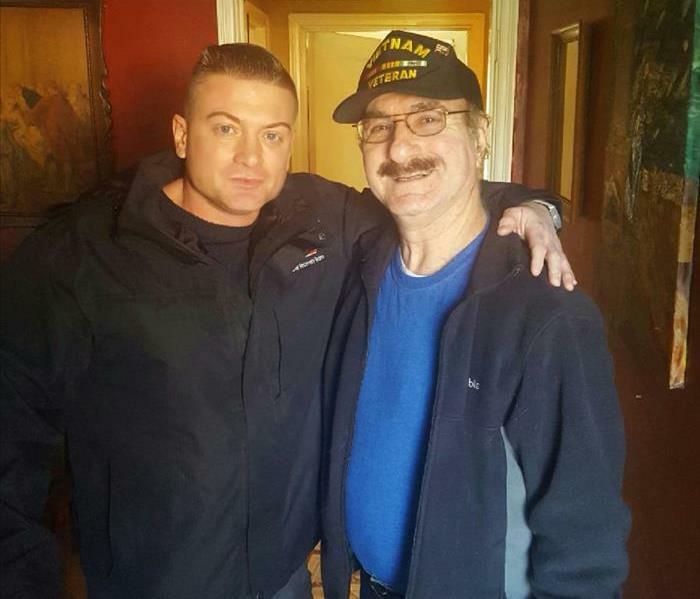 This is Brian Joseph, our new Project Manager at SERVPRO of Providence, with Tony Lepore, Providence’s one and only “dancing cop.” Even while we work on a sewer damage at his home, Tony still has a smile! Our crew at SERVPRO of Providence is the backbone of our business, and we are very appreciative of and confident in their efforts. We are also appreciative when customers make the extra effort to let us know the good work that they do. Ms. G states, "...Zack Morris and Johnathan Brightman were the employees sent to the job. I am writing to commend them highly for their work ethic. Every single day, they reported for work 5 to 10 minutes early and went right to work. They took pride in their work and did a great job. They were very courteous to me and conscientious about their work. I would highly recommend them to anyone and consider them an asset in your company. Thank you for a job well done." We are thankful for homeowners who trust us to help restore their homes after damages caused by fire, water, storms, and even those caused by a malfunctioning heat systems! Stormy and Blaze reported to office cleaning duty Saturday morning. Team Mattos is proud of the awards and achievements earned over the years and appreciates Stormy and Blaze going the extra mile to keep them in top form! Who is the best mold remediation company to call in Providence? SERVPRO of Providence is the best equipped and knowledgeable team in Providence if you have mold growing in your home or business. They have over 25 years of experience an ready to help you. If you have any questions, feel free to reach out. SERVPRO of Providence is available to help with any commercial or residential mold remediation project. Our team follows all of the guidelines of the IICRC. If you have any questions, do not hesitate to reach out to us at anytime. How do I makes sure mold doesn't grow after a water loss? Contact SERVPRO of Providence immediately. They will send a specialized team that will begin the drying process immediately. In most cases flood cuts will be made on walls to help get air flow inside, and prevent microbial growth. This sprinkler bust caused a lot of water damage in this commercial facility. SERVPRO of Providence was quick to respond and extract all of the water. After that, drying equipment was in place to prevent secondary damages from forming like mold. This facility had a massive water loss from a busted sprinkler head from cold weather. 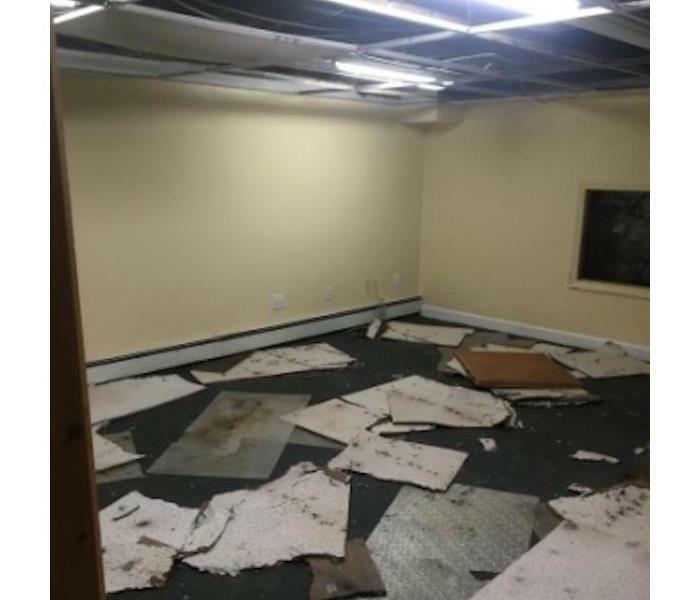 SERVPRO of Providence was called to cleanup all of the water damage and get the building back to normal. Our team was quick to get this finished form start to finish. This storm caused significant damage to this facility. SERVPRO of Providence was able to extract the water and make necessary flood cuts to dry inside and outside the walls. If you have any questions about our storm cleanup process, contact us anytime at (401) 941-5500. This building called SERVPRO of Providence to help extract and dry out the facility. We were quick to respond and begin the mitigation process. We operate 24/7, 365 days a year. We are always here to help! 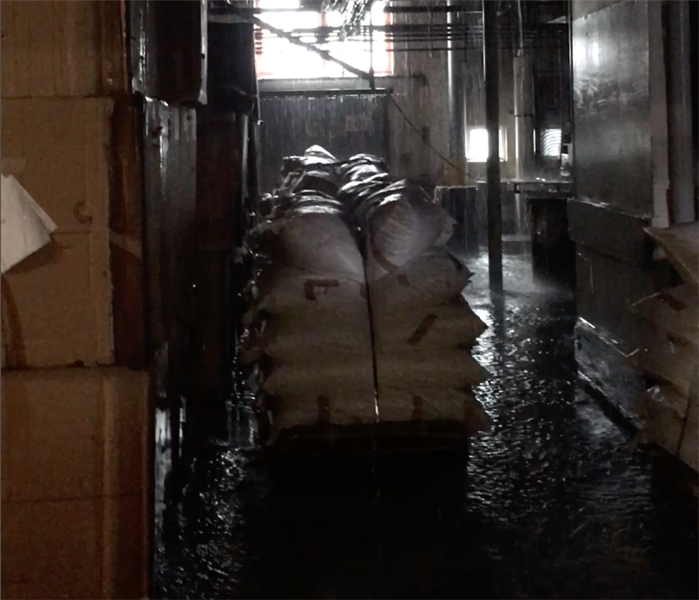 This warehouse had water damage after an overnight storm. SERVPRO of Providence was quick to respond and start the extraction process. Once the water was removed, we were able to place our drying equipment. After a few days of monitoring, we removed our equipment and had the facility back to pre loss condition. SERVPRO of Providence has a mobile command center ready for any storm. When things get bad from mother nature, our team is ready to help. We operate 24 hours a day, 365 days a year. SERVPRO of Providence is one of the best mold remediation companies in Providence. We have won several awards and always happy to help you from start to finish with any situation you have in your home or business. SERVPRO of Providence was called to help mitigate mold at this facility. Our team was quick to set up the appropriate containment to prevent the mold from spreading. 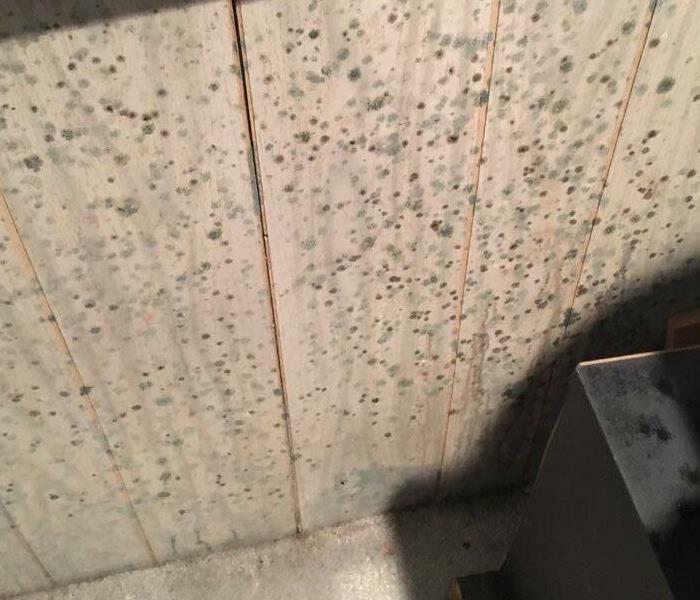 If you have any questions about mold remediation, feel free to contact us at (401) 941-5500. This chamber is used to dry documents after a water loss. It is important to get wet documents to SERVPRO of Providence immediately after a water loss to prevent bleeding and microbial growth on them. SERVPRO of Providence has the capabilities to dry documents if you have files and paper get damaged in results of an unexpected storm event or water loss. Our team carefully packs and inventories your documents to be dried and returned. SERVPRO of Providence was called for this emergency service on a large water loss. We were quick to get crews extracting and placing drying equipment to prevent secondary damages from occurring. If you have any questions about water cleanup, feel free to contact us directly at (401) 941-5500. Our team at SERVPRO of Providence was called to help cleanup a lot of water in this building. We were quick to start extracting and to get our drying equipment in place. After a few days of drying the facility was ready to be reopened. 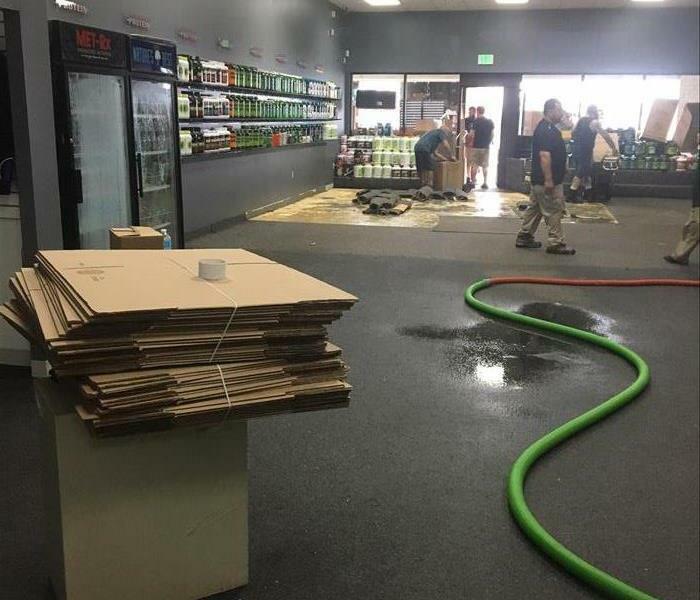 SERVPRO of Providence was called to clean up this water in a commercial facility. They were quick to respond and start extracting water. Timing is very important with any water loss to prevent secondary damages from occurring. An electrical fire cause a lot of damage to this home in Providence. SERVPRO of Providence was able to get on site and start the emergency board up. Our team is able to help form start to finish with any fire job. This kitchen has a lot of smoke and soot damage. SERVPRO of Providence started cleaning to get this home ready to be restored. You can see our dry sponge drying technique in this picture. If you have any questions about our fire cleanup process, do not hesitate to contact us at (401) 941-5500. This home had a massive fire and as you can see a lot of soot damage. SERVPRO of Providence was quick to respond and begin the cleaning process. Our team is able to help clean and restore your property back to pre loss condition. This home had a lot of damage after a fire broke out in the kitchen. SERVPRO of Providence was quick to respond and start the cleaning process. It is important to make sure each step outlined by the IICRC is followed on a fire cleanup. 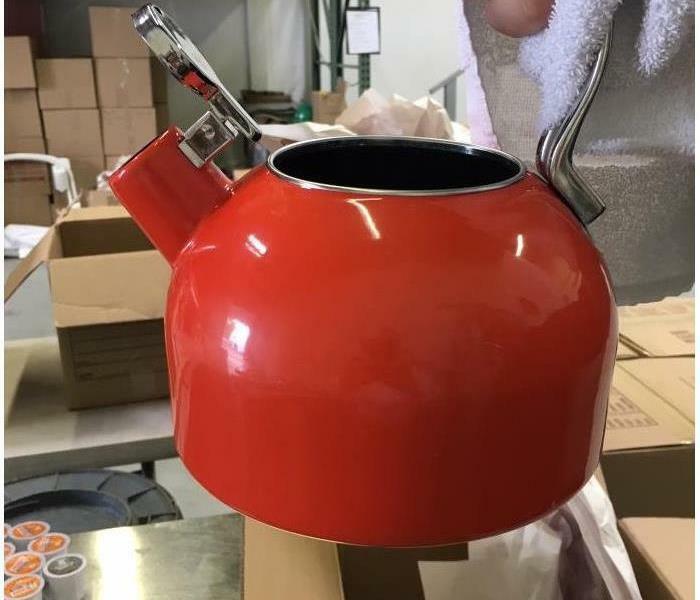 This tea pot was fully cleaned by the team at SERVPRO of Providence. We can fully restore most of your items that are not fully burned by flames in a fire. If you have any questions, feel free to reach out at anytime. This item needed to be cleaned after a fire loss in a home. 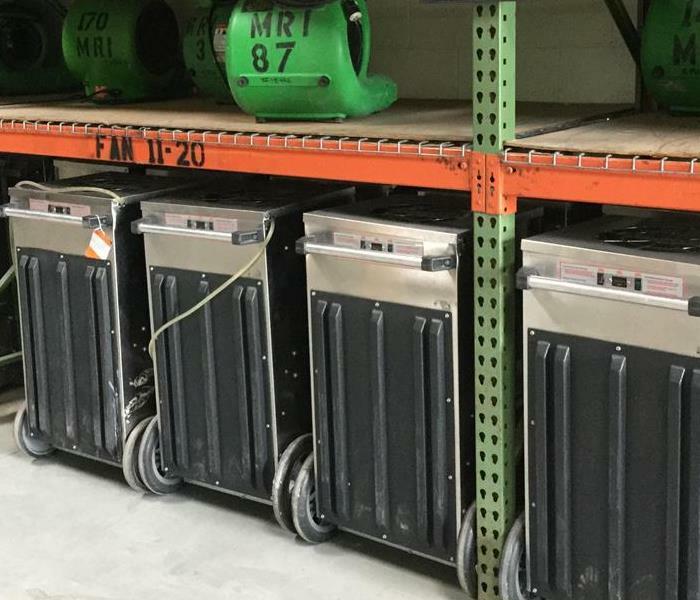 SERVPRO of Providence took all of the damaged content to their state of the art warehouse where they cleaned each item that could be restored. When your business suffers a loss, we know it's important to get back up and running as fast as possible. 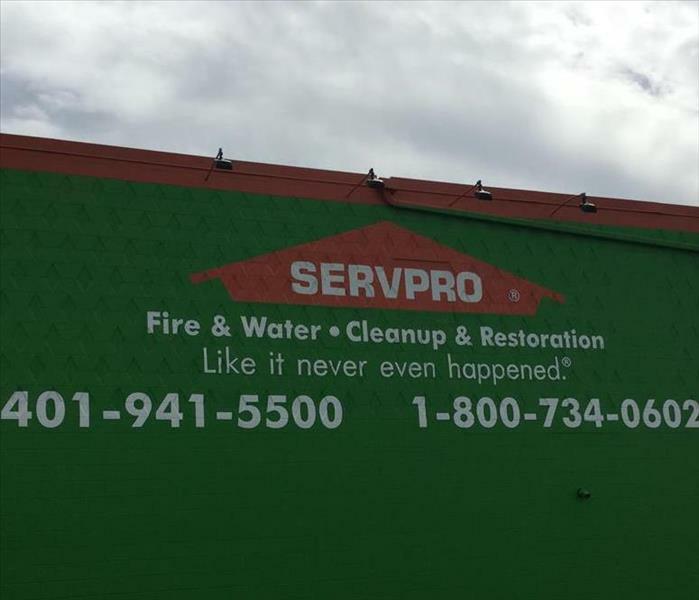 That's why SERVPRO responds to your calls 24/7/365 and begins taking action right away! 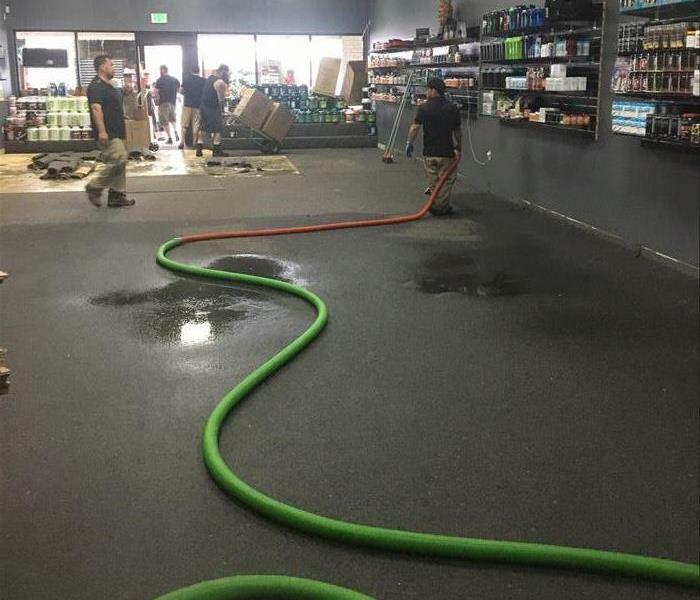 This local business was cleaned up and ready to open very shortly after this large water loss. It's the worst when a water loss goes undetected for any length of time, especially when it's more than a couple of weeks! Our SERVPRO team arrived at this commercial location as soon as we were notified of the found damage and got straight to work! 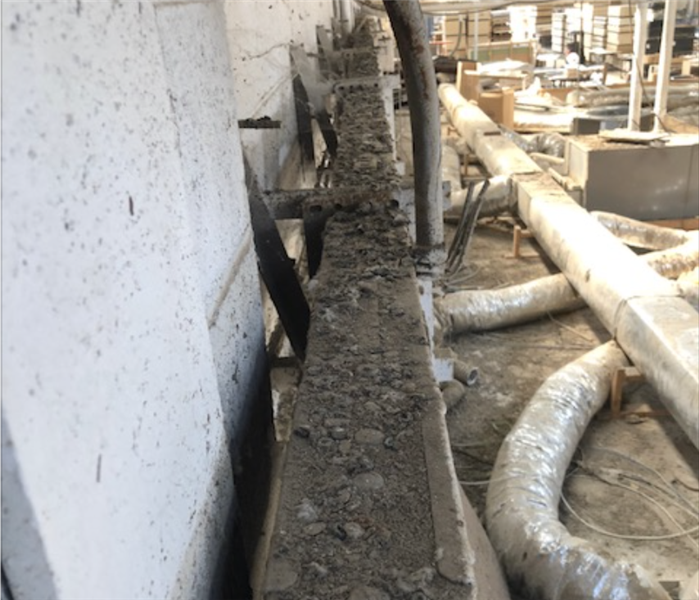 We cleaned up the debris, tore out all the wet carpeting and walls, treated and dried out the building with air movers and then began the dehumidification process. A large commercial client in Providence experienced an air conditioning malfunction on one of their roof top units. SERVPRO of Providence worked overnight to coordinate a temporary A/C unit along with generator, to provide air conditioning to the top floor of this commercial office space, allowing staff members to work the following day without discomfort. We know that business interuption can cost a business thousands of dollars in productivity; it is always our goal to help keep your business running as flawlessly as possible. A large commercial client in Providence experienced an air conditioning malfunction on one of their roof top units. 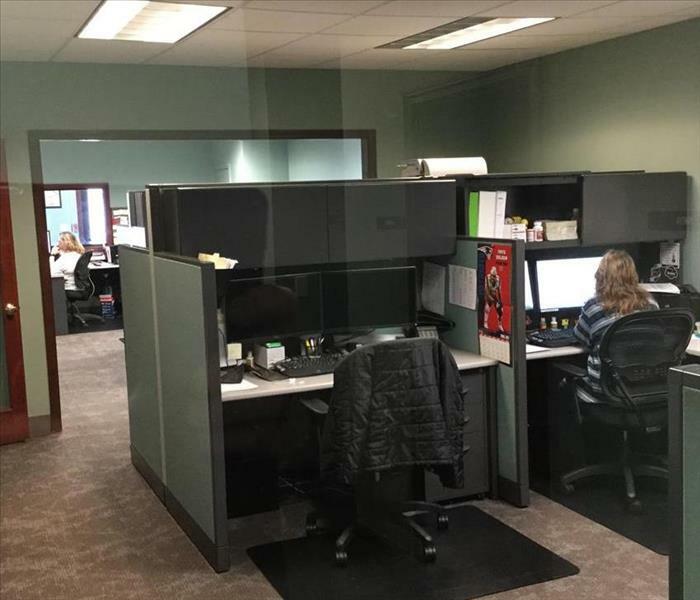 SERVPRO of Providence worked overnight to coordinate a temporary A/C unit along with generator, to provide air conditioning to the top floor of this commercial office space, allowing staff members to work the following day without discomfort. We know that business interruption can cost a business thousands of dollars in productivity; it is always our goal to help keep your business running as flawlessly as possible. SERVPRO of Providence was on the scene of a commercial water damage that occurred in downtown Providence. We were on-site extracting water and setting up specialty drying equipment (large portable desiccants). We only had 4 days to get this place ready for a large concert. 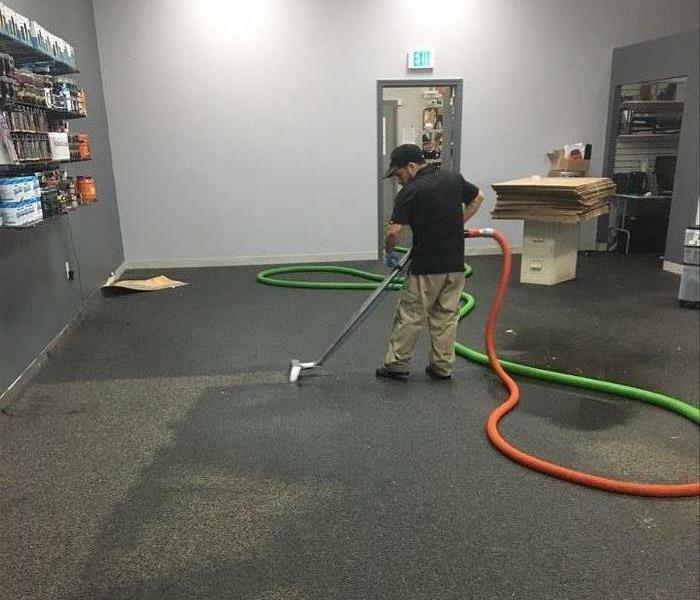 We know that commercial water damage can cost a business thousands of dollars in productivity and loss of revenue; it is always our goal to help keep your business running as flawlessly as possible through and loss or restoration process. In the event of water damage, call SERVPRO of Providence immediately. This buckled wood is what can happen if you allow water to sit too long atop a surface. We hate to see beautiful hardwood floor ruined by water so call us as soon as possible as (401)941-5500 so we can make it Like It Never Even Happened. 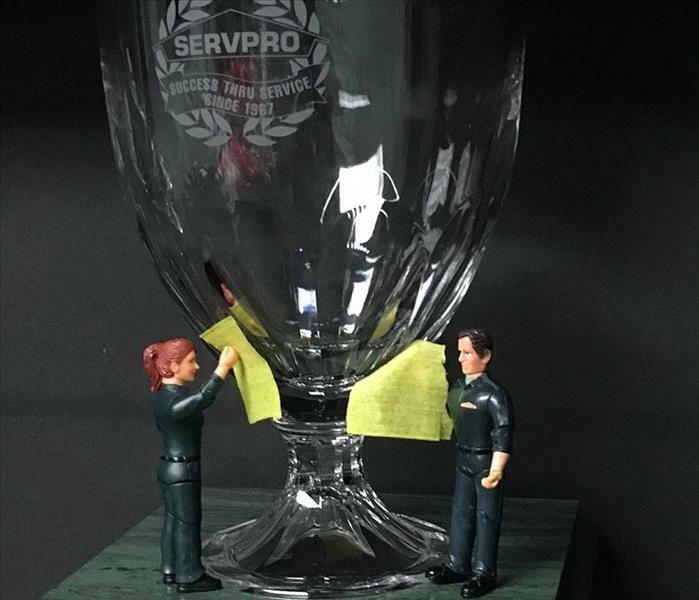 SERVPRO of Providence has received numerous awards throughout the years and has been consistently ranked in the top 10 of all 1650+ franchises nationwide. Our organization is committed to providing best in class service during your most difficult times.